A member of the "Portraits of Influence series, Selena Quintanilla-Pérez was an American singer, called the Queen of Tejano music; and the "Tejano Madonna" for her clothing choices. Her contributions to music and fashion made her one of the most celebrated Mexican-American entertainers of the late 20th century. 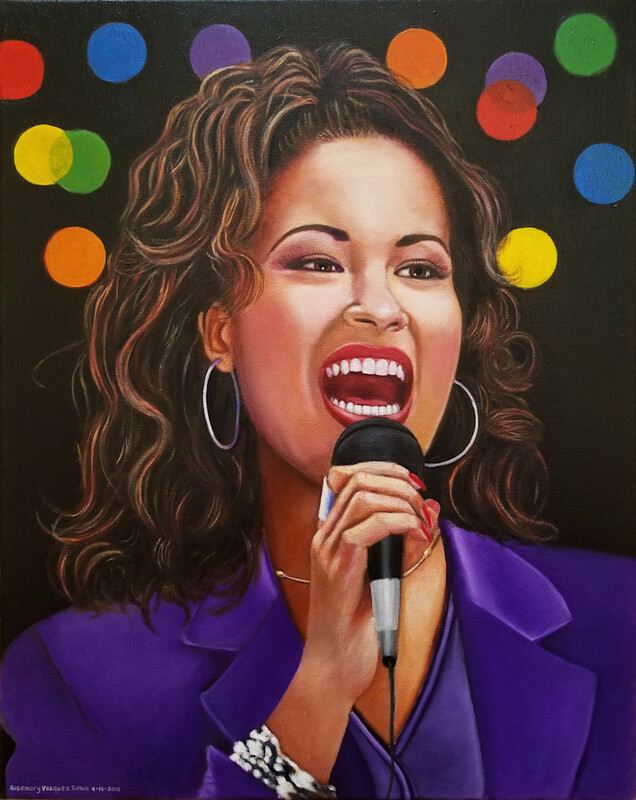 Selena Quintanilla-Pérez is a member of the "Portraits of Influence series. According to Wikipedia, Selena Quintanilla-Pérez was an American singer, songwriter, spokesperson, model, actress, and fashion designer. Called the Queen of Tejano music, her contributions to music and fashion made her one of the most celebrated Mexican-American entertainers of the late 20th century. Billboard magazine named her the top-selling Latin artist of the 1990s decade, while her posthumous collaboration with MAC cosmetics became the best-selling celebrity collection in cosmetics history. Media outlets called her the "Tejano Madonna" for her clothing choices. She also ranks among the most influential Latin artists of all time and is credited for catapulting a music genre into the mainstream market.